Disturbing news today, I’m afraid. 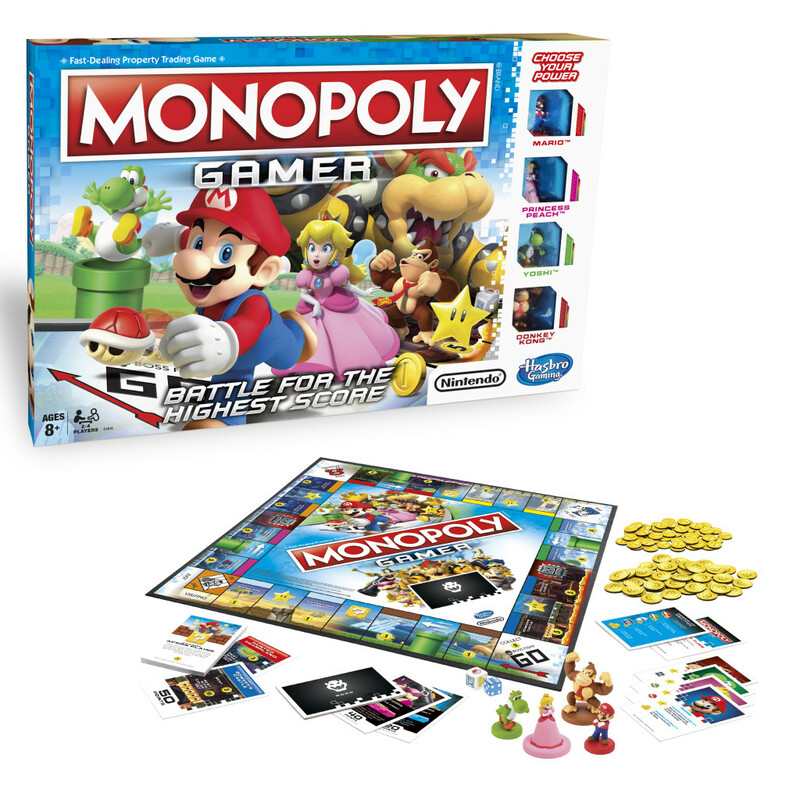 Monopoly has teamed up with Nintendo to create a new board game called Monopoly Gamer. There. That’s knocked your monocle out, hasn’t it? Nope. Me neither. But I’m quite cross about it. Because we’re approaching the summer holidays, a long, two-month stretch during which it is traditional for families across the land to reach into their games drawer and retrieve an ancient, dusty Monopoly box which is missing several key components but does contain spidery score cards from games that you played in 1978. Or you may bring out a Scrabble board. Or backgammon. Or a chess set. Any or all of these games are acceptable. But it’s important to remember that such games are absolutely not about having fun. Nobody ever volunteered to be the banker and laboriously counted out fake yet colourful notes in an effort to have a laugh. No, proper, old-fashioned games like these should be used to develop certain key life skills. If I think back to the clement summer months of my childhood, rain beating down against the windows, I can recall many lessons learned from various games. Utilities are ludicrously expensive, for example, which you learn when you land on the ‘Water Works’ square in Monopoly. It also teaches you patience, given how long a game can drag on for. Has anyone ever finished a game of Monopoly? Or, as in my family, does everyone just gratefully give up when one person lands on Park Lane, announces they’re bankrupt and flounces from the room? Scrabble’s another corker. This will improve not only your vocabulary but your debating abilities, because you will spend the entire game bickering. ‘USE IT IN A SENTENCE THEN,’ and so on and so on. In my family, we like to have a furious row over Scrabble before we even get going. This will be about whether the person who starts gets a double word score, having used that little pink square right in the middle of the board. Please don’t all write in telling me if that’s right or not. You would be depriving my siblings and me of a terrific fight. Chess. Quite boring if you ask me but chess club is the sort of thing you should belong to aged eight if you’re going to graduate to the Bullingdon Club and then become a Tory MP. Backgammon is a useful and posh thing to learn because they still hold tournaments in various members clubs on St James for vast sums of money as if we’re all still living in Georgian England. And I love the game of Articulate more than my own mother and it’s marvellous for developing any oratory skills, but I’m not allowed to play it any more after a catastrophically competitive game of it in Kenya a few Christmases ago. Less improving games include Operation (vulgar, poking around inside someone like that), Cluedo (those characters are desperately upwardly mobile), and, obviously, any bastardisation of Monopoly. Incidentally, I just googled ‘bastardisation’ to make sure I’d spelt it properly and the second result that came up was a link declaring you can use it as a Scrabble word. So best of luck with landing that one on a triple word score while you play with your family this summer.